I be you will want this miniature puppet playhouse and its tiny dancing puppet for a pocket toy or to use in your doll houses. 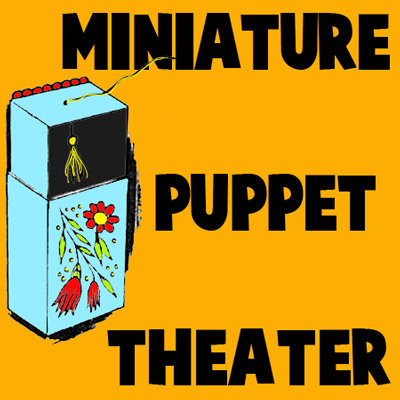 This is a mini yarn puppet that is controlled with a matches box puppet theater. Find out how to make this little mini toy below. Remove the sliding drawer from the matchbox. 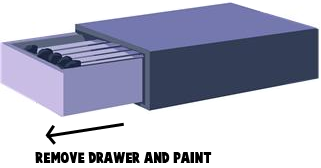 Paint the inside of the drawer with black paint or ink and allow it to dry thoroughly. Paint the outside of the drawer and the matchbox cover with a neutral color paint, and allow them to dry thoroughly. 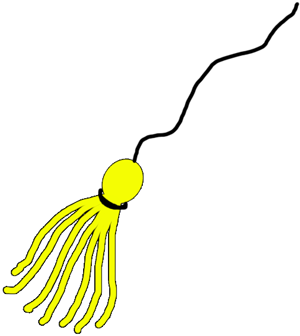 To make the dancing puppet, cut several 2-inch pieces of colored yarn. 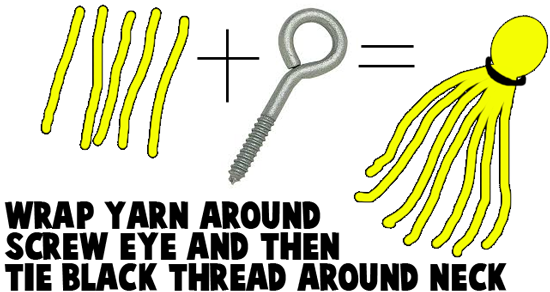 Fold the yarn over the head of an ordinary screw eye, and wind a piece of black thread under the head to make the neck. Tie a short piece of black thread to the top of the puppet’s head to make the control-thread. With a nail, punch a small hole in the center of one of the short ends of the sliding drawer. Slip the end of the control-thread attached to the puppet through the hole. 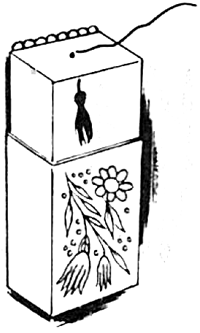 Replace the sliding drawer in the matchbox cover so that the control-thread is at the top, and the puppet is in the drawer. Decorate the front of the puppet playhouse with paints or wax crayons. To make the puppet perform, slide the drawer about halfway out of the cover and pull the control-thread up and down. If you want to make a larger playhouse for more puppets, use a kitchen size matchbox with a sliding drawer, and make 2 or 3 yarn puppets the same way.